West Windsor, N.J. - It's the most wonderful time of the year at Mercer County Community College (MCCC) as the college prepares to celebrate its graduates on May 19. This marks MCCC's 49th Annual Commencement ceremony and the start of its 50th anniversary year as the county's community college. A large and diverse group of students will cross the stage, many of whom have overcome significant challenges to earn their college degrees. The Class of 2016 includes 1,012 students; the college will award 1,080 degrees and certificates. The ceremony starts at 5:30 p.m. on the West Windsor campus quad (weather permitting). U.S. Army veteran Gabriel Matt is the 2016 student speaker. Alumna Marsha Stoltman ('81), President of the Stoltman Group, a corporate event planning firm, is the keynote speaker. For many students, especially those who have attended part-time over a number of years, Mercer has become like a second home. We bid them a very fond farewell with all best wishes for productive and fulfilling lives. Here is just a sampling of students who have made the most of their time at Mercer. Army veteran Gabriel (Gabe) Matt, of Hamilton, was diagnosed with dyslexia and other learning issues at a young age. He was told that he would not go far in life. Flash forward several decades and Matt has proven the early predictions very wrong, thanks to his tremendous work ethic, a strong spirit, a solid support system, and his service dog, Louie. After serving in the Army for 11 years – which included two deployments to the Middle East, multiple injuries and rehabilitation – Matt is ready to graduate from MCCC with an A.S. in Engineering Science and a 3.25 GPA. He will transfer to Rutgers University in the fall. He credits a long list of professors with helping him succeed and says the MCCC Tutoring Center has been like a second home. Matt believes that his determination and drive and the support he received at Mercer have enabled him to battle back against a lot of obstacles. “If you have a desire to accomplishment your goals, the teachers and staff at Mercer will do everything in their power to help you. And if I can do it, so can other students,” he said. Matt was nominated for commencement speaker by more than ten staff/faculty members. 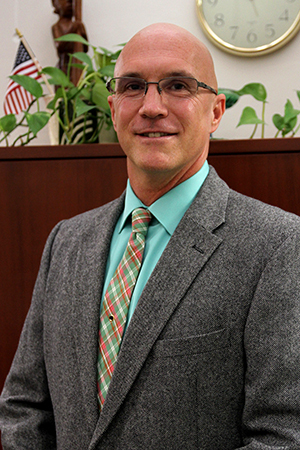 One praised Matt for his intelligence, discipline and focus, while another called him “an inspirational magnet for all MCCC students.” Nominators noted his natural ability to connect with people and many called him a leader and role model. From the time she was in second grade, Brittni Addye knew what she wanted to be when she grew up. "We read a book at story time and it was about a doctor and I knew that's what I wanted to do," she recalls. Luckily, science and math proved her strongest subjects, and she was focused and inspired to excel in school. "I have always been a serious student," Addye says. After high school, she planned to enroll directly at Mercer, but got sidelined briefly with family responsbilities. 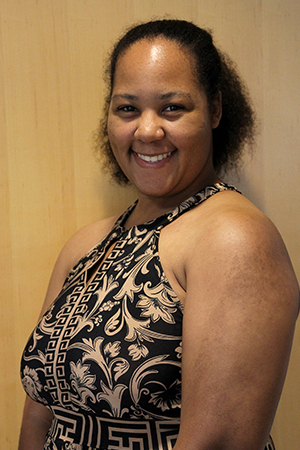 Starting at MCCC in 2012 as a part-time student, she has spent the past two years studying full-time for her associate degrees in Biololgy and Chemistry. She has taken some of Mercer's toughest science courses, including Honors Organic Chemistry, Microbiology and Genetics, and has found them to be the just what a pre-med student needs: tough and thorough. "I have gotten a solid foundation at Mercer," she said. When she transfers to Rowan University in the fall, she will major in Translational Biomedical Sciences, a special Rowan program for pre-med students. Addye says she feels ready for the next level. "I am not afraid of hard work. You have to put in the time and effort to fulfill your goals." Addye's ulimate goal is to be a cardiologist. She also loves to travel and hopes to one day serve on medical missions to parts of the world where people are lacking in medical services. After 30 years of active duty in the Marines, Steve Bientema decided he wanted to dramatically change direction. Inspired by treatment he himself had received in the military, he set his sights on becoming a physical therapist assistant (PTA). Mercer is one of a handful of accredited schools in New Jersey to offer the program and its track record for graduate success is near 100 percent. According to PTA Program Coordinator Barbara Behrens, Bientema excelled academically and was a role model for younger students. “Steve was a real inspiration to have in the classroom, a team player and a real motivator for his classmates,” she said. 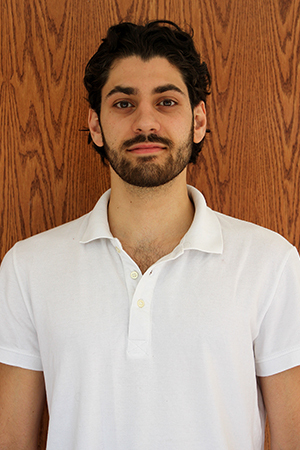 Having earned his degree last August with a 3.95 GPA, Bientema is already immersed in his career, working with cardiac patients at Robert Wood Johnson University Hospital Hamilton. Bientema says he could not have been happier with Mercer’s PTA program. “Professor Behrens is a genius at what she does and provides an understanding of the science behind what PTAs do. She is a great proponent of the profession, to the benefit of all patients. Professor Holly Beinert is the consummate professional and relates well with the diverse students who are attracted to this field.” He noted that at clinical rotations, the MCCC students were always the most prepared. Bientema also gives high marks to Mercer’s Veterans Services and other support staff. “They did a great job of coordinating my paperwork and financial issues. Staff members helped me with all my arrangements and scheduling. Dean Blank grew up with a love for basketball, a sport he excelled at as a player at Council Rock High School. That somewhat singular focus proved limiting when Blank began considering his options for college, but Mercer provided what he was looking for: a strong basketball program led by an inspiring coach, and a school with a solid academic reputation. Once Blank started at Mercer, he discovered a whole lot more. “Basketball provided the foundation that pushed me in the right direction, but the whole environment pushed me beyond my comfort zone,” he says. In his first semester, he signed up for multiple clubs and developed a passion for getting involved. 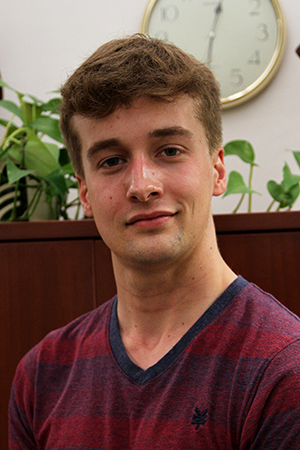 As a Liberal Arts student in the American Honors at Mercer program, Blank says he has gotten a varied education that has exposed him to many disciplines. He will major in Finance when he transfers in the fall and eventually plans to go to law school. “My classes opened my mind to so much creative thinking. Challenging assignments made me recognize what I am capable of. There is more to me than I realized,” he said. With a perfect 4.0 GPA, Blank was selected for the Cynthia Schaffer Scholarship, awarded to MCCC's top male and female scholar athletes. Even as Blank took on increasingly difficult courses, he juggled multiple jobs, played two years of Vikings basketball, and dealt with family and financial setbacks. “There were a lot of sleepless nights, but I think we are all going to face struggles in our lives. You have to learn how to push through,” he said, adding that the support system he found at Mercer was second to none. Bryn Chalifoux graduates from Mercer with a 4.0 GPA. What makes that accomplishment even more remarkable is that he works seven days a week at a local restaurant. “I studied in between everything else,” he said, which included caring for a sick family member. The first in his family to attend college, Chalifoux says he wants to be in a better place in the future and that education is the key. 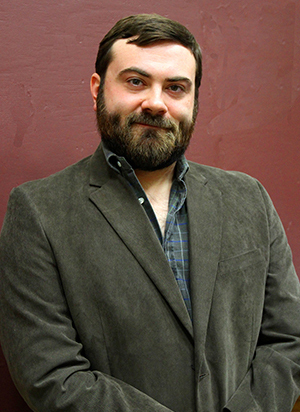 Earning his associate degree in Liberal Arts is the completion of a four-year academic journey. Chalifoux will transfer to Rutgers University in the fall to study Public Relations. He recalls many faculty members who supported his efforts, some whom he visited almost daily and many who gave willingly of their own time to offer advice and help him figure out his college and career options. Chalifoux recognizes there are always going to be challenges in life, but has learned to find work-arounds. “When things are going against you, you can find ways around it. I took it a course and a semester at a time and I will graduate without debt. 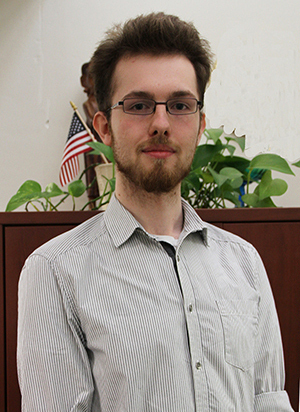 Radoslaw Dlugowski enjoys challenges. A first generation college student, he is a Physics major, a four-star PTK grad, an American Honors at Mercer student, and an active participant in student life who has held officer positions in six clubs, including PTK, American Honors and the Music Club. This renaissance grad is a musical composer and performer who also enjoys creating art and writing fiction. But he reserves his greatest energy for mathematics, a passion that has blossomed at Mercer. Carrie Krewson has spent two years at Mercer making the most of her opportunities. 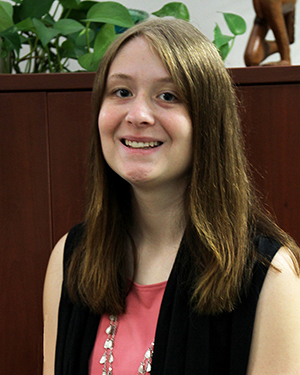 Starting out as an Education major, she switched to Liberal Arts to widen her options. Krewson jumped into student life, participating in the International Student Organization, the Intervarsity Club and the Psychology Club during her freshman year. This year, she branched out by joining the Student Government Association’s leadership team as secretary and served as vice president of communication for Mercer’s chapter of the Phi Theta Kappa International Honor Society. Krewson has set her sights on a career as a school psychologist and believes she has gotten a good start at Mercer. “There are so many professors who have impacted my life, but my very first Psychology 101 teacher really inspired me,” she said. She will major in Psychology when she continues her studies at William Paterson University at Mercer in the fall. “MCCC has been an amazing experience for me. If I had to do it all over again, I would have made the same choice,” Krewson said, noting that her participation in various organizations has built her confidence and leadership skills and helped her mature as she figures out her path for the future. Rose Nnajiofor came to the United States from Nigeria in 1995 to join her husband, Christian. She started college at Mercer as a part-time student in 2011, juggling schoolwork, a full-time job with the New Jersey Juvenile Justice Commission, and family life, which includes raising four children. Rose's eldest child, Nnamdi, began his studies at Mercer in 2014 after graduating from Hamilton High School West and will also graduate as a member of the Class of 2016. Both say they have gotten a solid Liberal Arts education at Mercer and have excelled in the classroom, with Rose earning a 3.6 GPA and her son earning a 3.9. Mother and son will attend Rutgers University in the fall. Nnamdi will transfer to study Economics and plans on going to law school after earning his bachelor's degree, while Rose is pursuing her bachelor's degree in Social Work and plans to continue on for her master's degree in the field. According to Nnamdi, having his mom at school has been a real plus. "If we took the same course, we were able to help each other," he said. "My mom has motivated me. She has an amazing work ethic and time management skills. She has been a role model." Brendon Pearsall started college later than the traditional high school graduate, but those in-between years gave him a chance to figure out what he really wanted to do. Working full-time in his father’s carpentry and building maintenance business, Pearsall has attended Mercer as a part-time student for the past four years. He will graduate with his associate degree in Liberal Arts and a perfect 4.0 GPA, and transfer to Rutgers in the fall to study Agriculture and Food Systems at RU's School of Environmental and Biological Sciences. 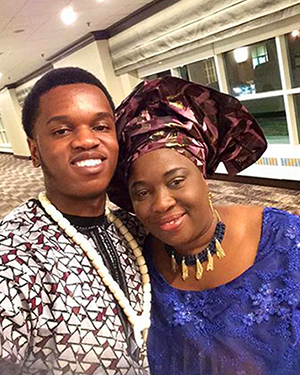 A student in the American Honors at Mercer program, he says he has come to consider many of his professors not only as teachers, but as advisors, friends – and even travel companions. Last year, he was one of ten students to travel to Cuba with Sociology Professor Gianna Durso-Finley and Spanish Professor Daniel D’Arpa as part of Mercer's Study Abroad program. The trip changed his perspective and his life. Originally thinking about becoming a college professor, Pearsall is turning instead to a greater passion – working to address world hunger at the local level. “My wife and I hope to own a small farm one day,” he says, adding that he would like to establish partnerships with urban communities. Despite the demands of a full-time job, Pearsall says Mercer’s flexible scheduling allowed him to juggle work, his school assignments and his life – and provide the stepping stone to a rich future. 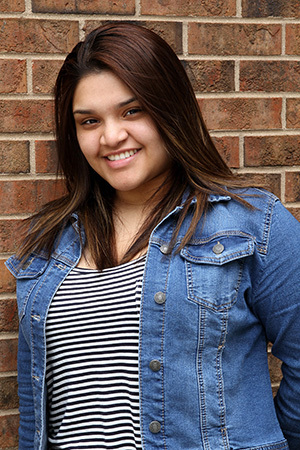 When Glendy Pineda was a student at Trenton Central High School, she was also working almost full-time at a fast food restaurant, where she eventually became a manager – as a high school senior. With financial pressures at home, Pineda says she felt compelled to earn an income and also enjoyed the sense of independence that came with it. As a Mercer student, Pineda has found a support system that has allowed her to navigate her challenges while also achieve her academic goals. She is a participant in the Equal Opportunity Fund (EOF) program, where she serves as treasurer, and is preparing for a future as a secondary school English teacher. “I am a completely different person than I was when I started here two years ago,” she said. Given her goal to teach, Pineda eventually left her restaurant job and began working at a day care center. “I like little children, but I realized that I needed the intellectual stimulation that will come with teaching middle school or high school,” she said. Pineda has nothing but praise for Mercer. “For a lot of students, it’s about the cost. That’s a bonus for sure. But Mercer is about what it has to offer – a small community where meaningful friendships can be made. It’s the way you can build a support system here – with your professors, the staff and other students. The people at Mercer have helped me become the person I am. “Graduating from college is very new for my family. I am the first one. My mother cries about it a lot,” Pineda said. 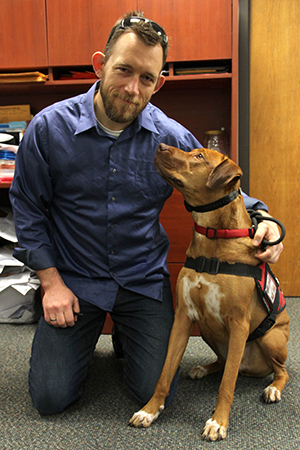 Commencement Speaker Gabriel Matt with his dog, Louie.